Item number 1374/24 from the MOA: University of British Columbia. 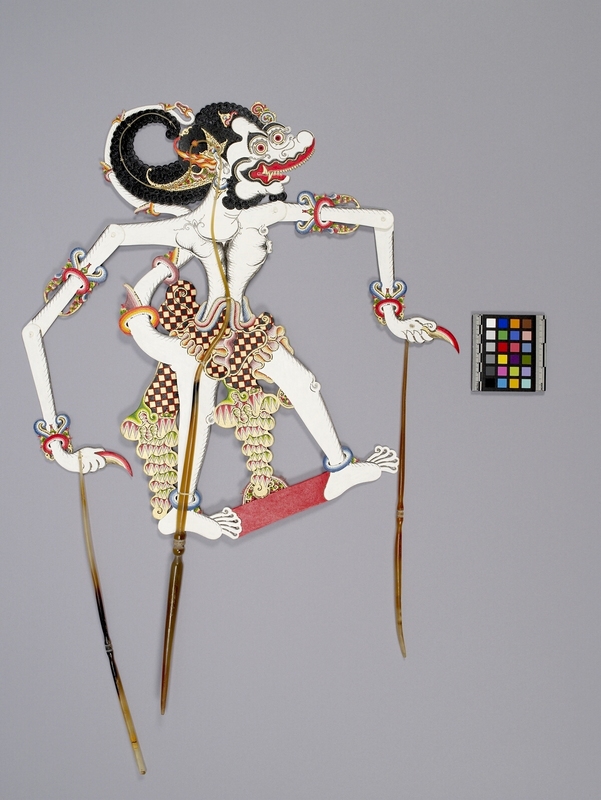 A flat tall puppet painted white with black curly hair curled outward and upward at the back and a gold-coloured headdress with red, white, blue, and green. The eyes are round and red. The mouth is red with gold-coloured teeth and fangs. The nose is long and pointed outward. He is wearing a red, black, and gold-coloured checkered outfit, blue anklets, and red bracelets with blue and green and gold-coloured curled protrusions. 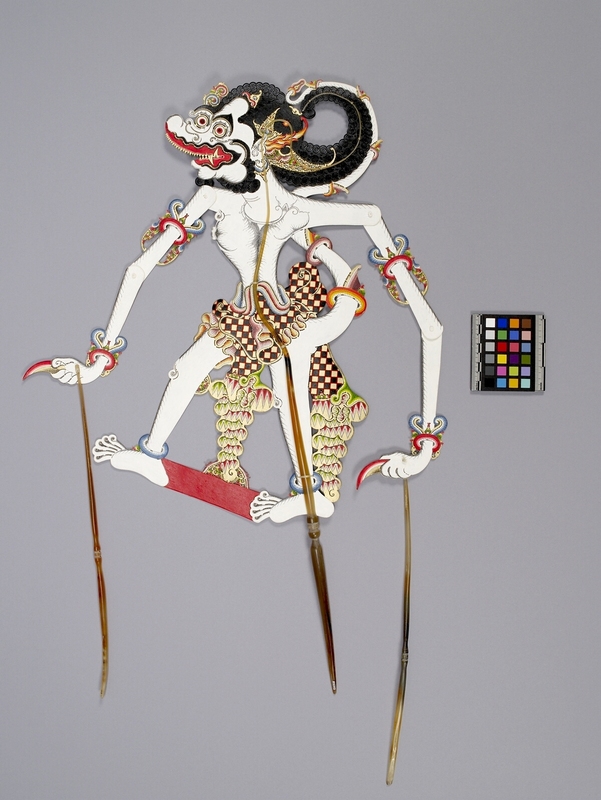 The shoulders and elbows are rotatable and a marionnette stick is attached through the palm of each hand.